A look back at programmes and recordings from the BBC archives. Grayson Perry works backwards through the archive in search of the moment the avant-garde died. 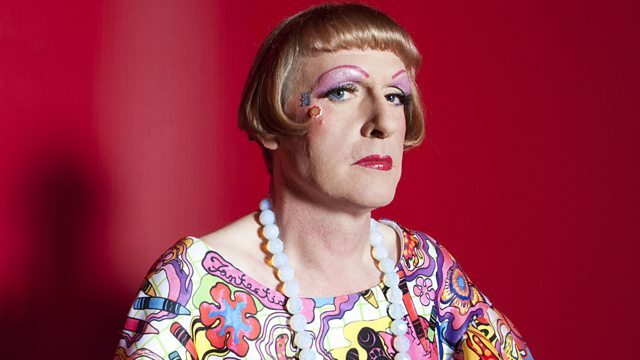 Grayson Perry goes backwards in the archive in search of the moment the avant-garde died. It's a century since Marcel Duchamp submitted his artwork called Fountain to an exhibition staged by the Society of Independent Artists in New York. Fountain was a urinal -- not a painting of a urinal or a sculpture, just a urinal, bought from a Manhattan hardware store and signed R.Mutt. The Society of Independent Artists rejected Duchamp's provocation and the original object was lost. Nowadays Duchamp's urinal is canonised as the fountainhead of conceptual art and the high water (closet) mark of the avant garde. Replicas of the Fountain grace museums around the world - emblems of the avant-garde spirit of experimentation and confrontation. Somewhere in the intervening years though, something changed - contemporary art lost its ability to shock and critique. We're still hopelessly drawn to the idea of art that's 'cutting edge', 'ground-breaking', 'revolutionary'. But is that possible at this point -- haven't we seen it all before? Maybe the death knell was sounded when the Saatchi Gallery opened on the South Bank? Or with the advent of protest and radical chic in the 1960s? Maybe it was when the CIA funded the abstract expressionists? Or when the post-war art market began to reign supreme? Or when the Museum of Modern Art opened its doors in 1927? Or maybe it was all a matter of style the very moment Duchamp's Fountain was conceived? Featuring Brian Eno, Kenneth Goldsmith, Nnenna Okore, Cornelia Parker, and Sarah Thornton.